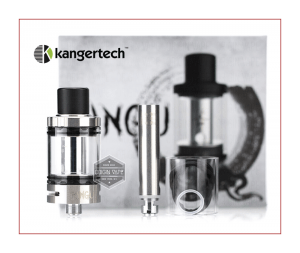 The one thing that saves the Stainless Steel and glass Kanger Pangu sub-ohm tank is the price; just $17.95 at Element Vape. Color available are Black, White, Stainless Steel. 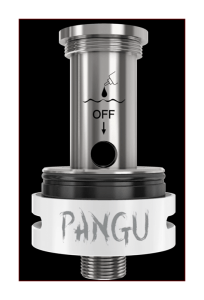 The Kanger Pangu Sub-Ohm Tank was a tank I was really looking forward to reviewing. 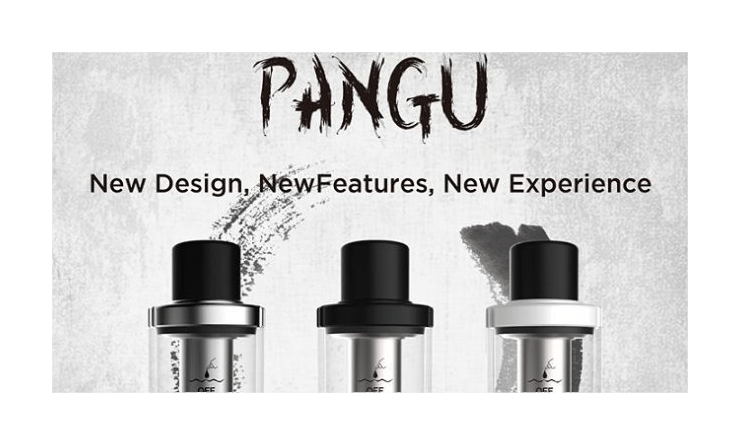 From the packaging to the photos all over the web, the Pangu looked like it just might be a new Flagship for Kanger. After using it for an extended amount of time I’m now wondering what the hell went wrong at KangerTech lately. 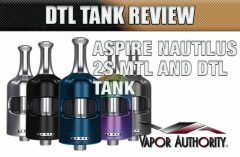 Without a doubt the flagship remains the Protank 4 Evolved, and with each new product Kanger released before August 8th, nothing has never surpassed Kanger’s glory days. At first I thought maybe Kanger was trying to build its own version of the Aspire Cleito, a sub-ohm tank that I’ve grown to really appreciate when wanting to do some cloud chasing without getting all techie about it. The Cleito is rather simple, but a wicked performer. The fact is Kanger may have, and I stress the words “may have”, succeeded in introducing some worthwhile tech into a new sub-ohm tank. Its claim of a Condensation Reclamation System, (supposed to help with tank leaks and/or juice build up under the base) and constructing it in such a way that the user can switch out the coil head while eliquid remains in the tank are (worthy?) advances, but the actual performance leaves me wanting. I’ll talk more about this later on in the review. During the 2-weeks I spent with the Kanger Pangu I used my Lost Vape Triade DNA200, an iPower 100W TC, and my Therion DNA75. Wattage settings were 40-45W with the 0.5-ohm SS316L coil head and 22W with the NiChrome 1.5-Ohm coil head. I tried other wattage levels of course, but found the above to be optimal for me. 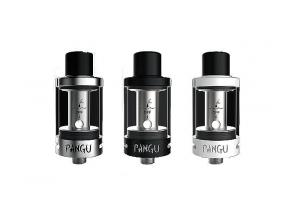 The Kanger Pangu Sub-Ohm Tank is certainly a budget-friendly tank. 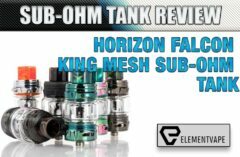 That’s good news for Vapers on a budget, and it would be nice to see more sub-ohm tanks hit this kind of price point. the Kanger Pangu, the PGOCC (Pangu Organic Cotton Coils). These coil heads are a whole lot different from coil heads used with Kanger’s other sub-ohm tanks. They also remind me of Cartomizers. Users will be able to replace PGOCC coils without touching any ejuice, and that is very much the case here. I’ve switched out a few coil heads just to see how well it works and it does work as advertised. In addition, the ejuice cut off system is a simple matter of twisting the tube. With a simple twist, the holes in the tube are closed, twist again and they open wide to allow a full flow of juice to the heating element. Unfortunately, even wide open there are times when there simply isn’t enough juice saturating the coils, preventing deep Direct Lung hits. 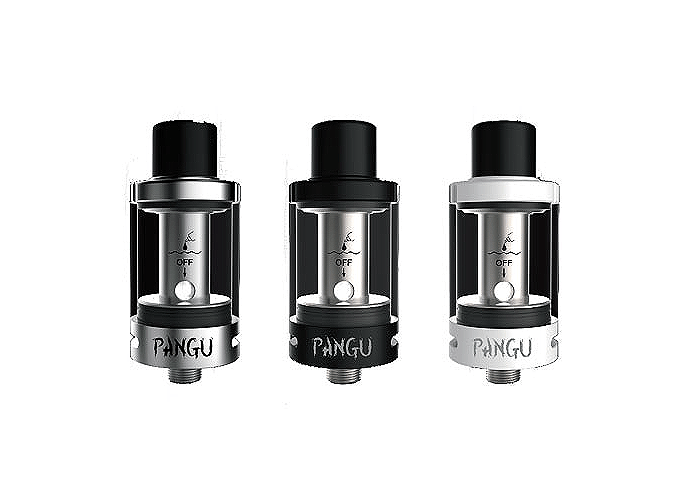 Like most of the new mid-range sub-ohm tanks coming to market, the Kanger Pangu includes a DL coil head and a MTL coil head so as to make the Pangu inviting for both Lung Hit Vapers and Mouth to Lung Vapers. Kanger tells us that the Pangu features “One coil for both MTL and DL inhalation”. I guess this is true of any coil head really. By adjusting the airflow anyone can tighten the draw to make suitable for Mouth to Lung users. (sigh…marketing) However, the Kanger Pangu does not have adjustable airflow. The MTL coil head is a NiChrome 1.5-ohm. For most folks this isn’t an issue, but for me I’m not a big fan of NiChrome wires. (Though flavor from a NiChrome is pretty nice) The 0.5-ohm DL coil head is Stainless Steel 316L. The Kanger Pangu has two airflow slots at the base, but as I said, both are non-adjustable. Why, I have no idea. Coil Head Changing – Yes, you can change out the coil head while the tank is full of eliquid. But why would you have to do that? Changing the coil head has never been a real problem before, so why is it supposed to be now? In addition, when you do change the coil head you need to make sure the tank is upside down or the eliquid will come rushing out the airflow slots. Condensation Control – Kanger is really pushing this feature. The Pangu is supposed to recapture 99% of the eliquid that can escape through condensation, but when has that been a problem for most Vapers? I’ve used the Pangu for a couple of weeks now and I’ve not seen anything to indicate whether this feature works or not. Performance – The MTL 1.5-ohm NiChrome coil head can only be used in Wattage mode, and the flavor produced is perfectly fine. Since I’m not a MTL Vaper all I can say about it is that MTL users will enjoy the flavor, and the vapor production is fine for a typical MTL coil head. a Direct Lung coil head. Users are supposed to be able to take huge DL hits with this coil head. Flavor from a 316L SS coil head is always pretty great to me, right up there with Kanthal A1, and I have no complaints with the flavor from this coil head. Vapor production from the NiChrome MTL coil head is decent, but not fantastic. When it comes to the .5-ohm SS316L coil head, I can’t, for the life of me find a .5-ohm coil head (I had a few packs on hand) that will allow me to take a Lung Hit that I want to take. After a few seconds with the DL coil head it begins to dry out and that ever-so-slight burnt taste shows up. As long as I stay with a half-strength, 3-second DL hit I’m good to go, but a full strength pull seems to be impossible. That said, it looks like I am the only one here at Spinfuel that can’t take a proper DL hit. I’m sure the reason is that the others don’t pull on the tank as hard or as fast as I do, but I think it’s worth noting that using other tanks, like my Crown 2, Herakles Honor, and the TFV8 and TFV8 Baby, I can vape as fast and as hard as I want to. Julia tells me I’m an aberration. Maybe. 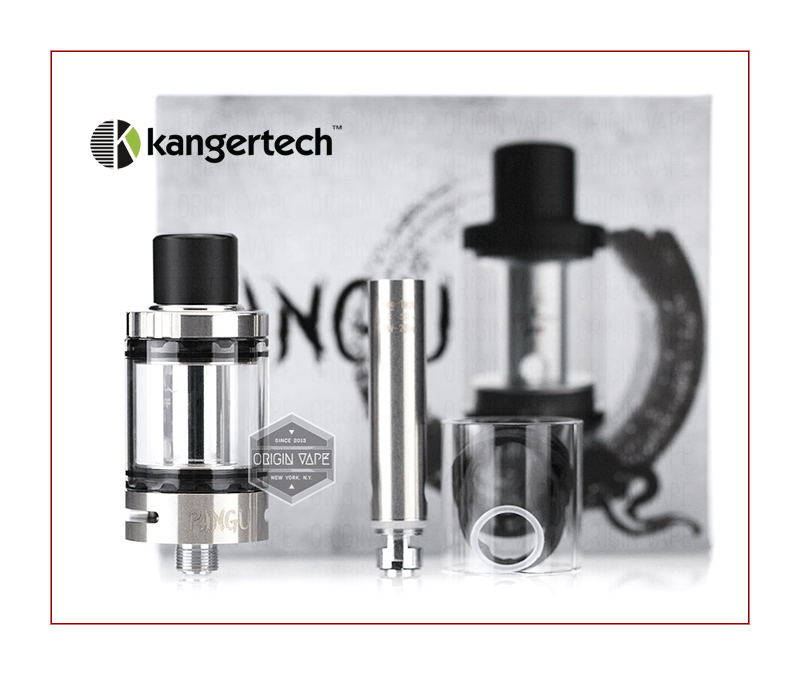 The Kanger Pangu suffers from too much hype and marketing. It is a decent, budget-friendly sub-ohm tank, but it does not come close to the hype by Kanger. Then again, the price tag, $17.95 at Element Vape, makes the Pangu a good buy. One more thing; if you do buy the Kanger Pangu you might notice that the thin manual included indicates adjustable airflow. That’s not true. It seems to me that, for some reason, Kanger had planned features that just didn’t make it into the production line. Maybe they ran out of time, maybe the tank they wanted to release wouldn’t be ready by August 8th. But you know, this August 8th date is for the United States only. There are millions of Vapers worldwide, maybe some manufacturers will soon realize that they can still innovate, they can still create and release new products outside the US. Available Now at Element Vape.